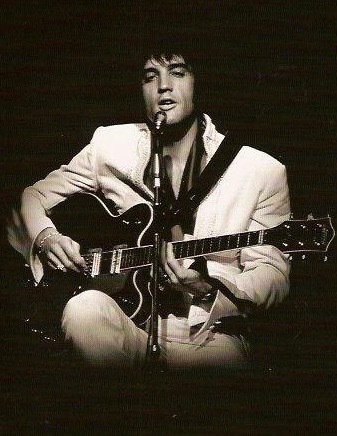 Elvis Presley’s “comeback” … as an event, his 1968 NBC-TV special has been given that label. As a broader development, though, Presley’s “comeback” in the late 1960s was a transition from the stagnation of his Hollywood career to regaining the popular music relevance he first achieved in the 1950s. 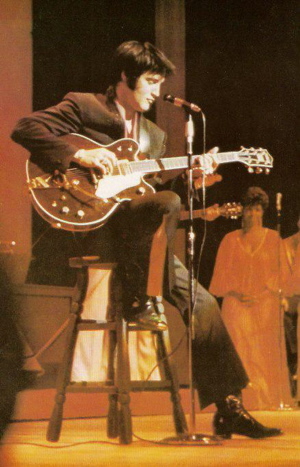 Because it reminded the public of his enduring vocal talents, the ’68 TV special was the first step in the process. But that performance concentrated on his music of the past. To become musically fashionable again, Elvis had to prove he could generate recordings that fit with contemporary cultural trends. 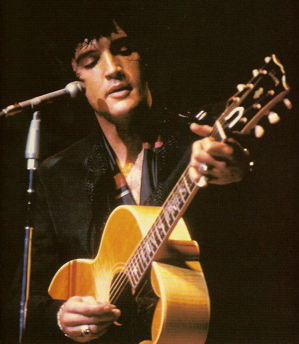 “If I Can Dream,” the finale in the ’68 special, is often conceded to be the song that put Elvis back on the road to prominence. 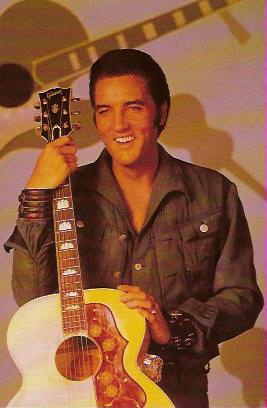 It’s chart performance, though, shows that it actually created very little new musical momentum for Presley. 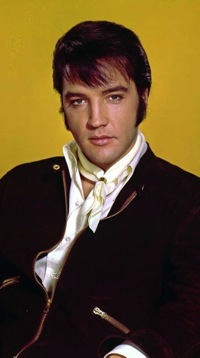 While it performed better than average for an Elvis record on Billboard’s Hot 100, it failed to make the chart’s prestigious top 10 and wasn’t even listed in the magazine’s Top 100 Songs of 1968. Furthermore, it’s follow up single, “Memories,” also from the TV special, stalled out at #35 on the Hot 100. 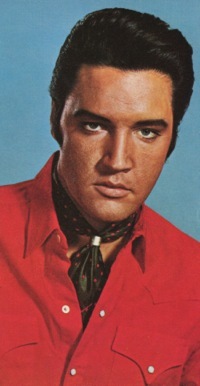 In 1969, though, Elvis finally got the “comeback” record he was looking for when composer Scott “Mac” Davis offered him “In The Ghetto.” Davis went on to have a varied and productive career as a solo performer in the 1970s, but in Elvis circles he will always be remembered as the songwriter who helped Presley revive his career. Speaking at a 2012 Country Music Hall of Fame gathering honoring Elvis on the 35th anniversary of his death, Davis added that the Civil Rights movement had inspired him to write “In The Ghetto.” He revealed, “I was going to call it ‘The Vicious Circle,’ but try to rhyme with ‘Circle.’” The song was published under the title of “In the Ghetto (The Vicious Circle),” but RCA received Davis’s permission to drop the subtitle before giving the song to Elvis. 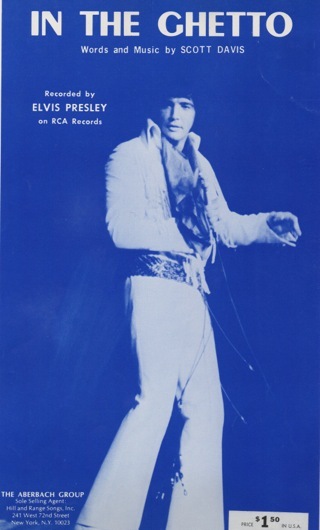 Guided by the firm hand of producer Chips Moman, Elvis and the house band recorded 20 songs at American Studio in Memphis from January 13-23, 1969. In his study of Presley’s recording sessions, Ernst Jorgensen described how Moman ran things at American. 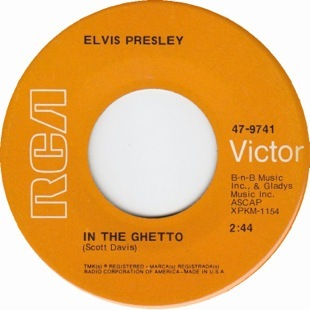 “In The Ghetto” entered the Hot 100 on May 3, 1969, and by the end of the month, it became the first Presley single to reach the top 10 in over four years. It peaked at No. 3 on June 14, eventually spending five weeks in the top 10 over the course of its 13-week run on the chart. On June 28, it reached No. 1 on Cashbox magazine’s list of the top 100 best selling singles, knocking The Beatles’s “Get Back” off the top spot. 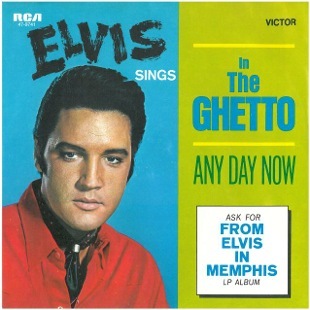 "The fact that ‘In The Ghetto’ never seems to lose its relevance is both a testament to the power of Davis and Presley’s creation and a sad commentary on the societal ills of poverty that never seem to relent."